The trial is expected to begin Jan. 26. When Judge George O'Toole Jr. introduced him and asked him to stand, he acknowledged the group with a slight nod. Over the next three days, about 1,200 people will be called to federal court to be considered as potential jurors. The first 200 were given initial instructions Monday by O'Toole. Twelve jurors and six alternates are to be selected. O'Toole briefly outlined the 30 charges against Tsarnaev, which include using a weapon of mass destruction. He is also accused of killing an MIT police officer as he and his brother tried to flee several days after the bombings. The judge acknowledged that serving as a juror can be "at the very least, inconvenient," but he said jurors will not automatically be excused if they have a hardship such as a demanding work schedule or if they have read extensively about the case. 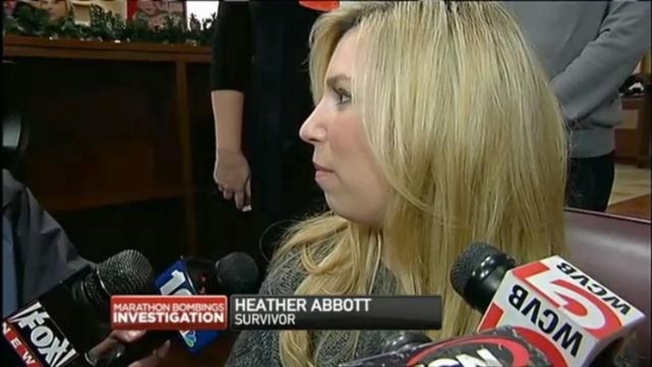 Heather Abbott, of Newport, Rhode Island, who lost her left leg below the knee in the attacks, said her biggest question may be an unanswerable one: "Why?" "I don't know whether I'll ever get any answer to that question, but I guess I want to understand what the thought process was," said Abbott, who plans to attend some of the proceedings. "Why he would want to do this to people ... it's really hard to understand." Tsarnaev's lawyers tried for months to get the trial moved, arguing the Boston jury pool was tainted because of the number of locals with connections to the race. They drew parallels to the McVeigh case, which was moved to Denver for similar reasons. But U.S. District Judge George O'Toole Jr., who is presiding over the case, refused.